Just a reminder that our Spring seminar is just around the corner . . . have you registered yet? If you haven’t, time is running out! On Friday, April 26th and Saturday, April 27th the Tacoma Pierce County Genealogical Society will be holding its annual Spring Seminar. This year we have invited the professional genealogist, Michael D. Lacopo, D.V.M. to be our speaker. Join your speaker on a trip down Memory Lane and share his tales of serendipity, woe, discovery, and frustration… with a touch of humor. Put away your notebooks and prepare to nod in agreement at things only fellow genealogists would understand! The Internet age has brought genealogy to our fingertips over the last two decades, and subsequently we can find our German ancestors easier. But it still takes some digging and some know-how. This lecture will discuss some online sites that all German genealogists should be aware of. American sites will be covered, but a strong concentration on lesser used German sites will be discussed, as we are missing vital clues by not being truly “international” in our Internet research endeavors! Family history should be more than names and dates. What motivated our ancestors? Why did they migrate? Who did they interact with? How do social customs of another era affect our research? Social history and its bearing on genealogical research will be covered and a “must-read” bibliography for serious researchers will be discussed. As usual, we will be having our used book sale. This year, we were lucky to receive a large donation of books from private libraries. I understand there is quite the selection of books on just about any topic you can think of. And best of all, they are priced to sell! The Spring Seminar will again be held at the La Quinta Inn and Suites in Tacoma (253-383-0146). If you would like to stay at the La Quinta a limited number of rooms will be made available at the discounted price. Please note, this offer is only available until April 5th and only through the above phone number. Also be sure to identify yourself as a conference attendee when reserving a room. TPCGS will hold our monthly meeting this Tuesday, March 12th, at Bates Community College, South Campus. PROGRAM: German Lexicon and free German websites. Meyer’s Orts- und Verkehrs- Lexicon includes all place names as they were designated during the time of the German Empire (1871-1918). It is an invaluable tool in doing German research. The online version is important in locating the place where the records of your ancestors were recorded. The locations of the microfilmed/digitized records of the Family History Library are based on this Gazetteer. The free German web site https://compgen.de/ is a gold mine for German research. This web site of the Society for Computer Genealogy, Inc. is divided into two sections: 1) information (history, archives, links to regional family history groups and repositories and 2) databases for records of people and places. Translation into English allows non-German speakers to take advantage of a massive amount if information. SPEAKER: Sue Foster (nee Ursula Kaiser), who immigrated at age 10 to the U.S. after her father died as a German soldier during World War II. She has researched her family tree to the early 1600s. She was a Family History Center Director from 1990 to 2004. In 2007 she received her bachelor’s degree in Family History from Brigham Young University. 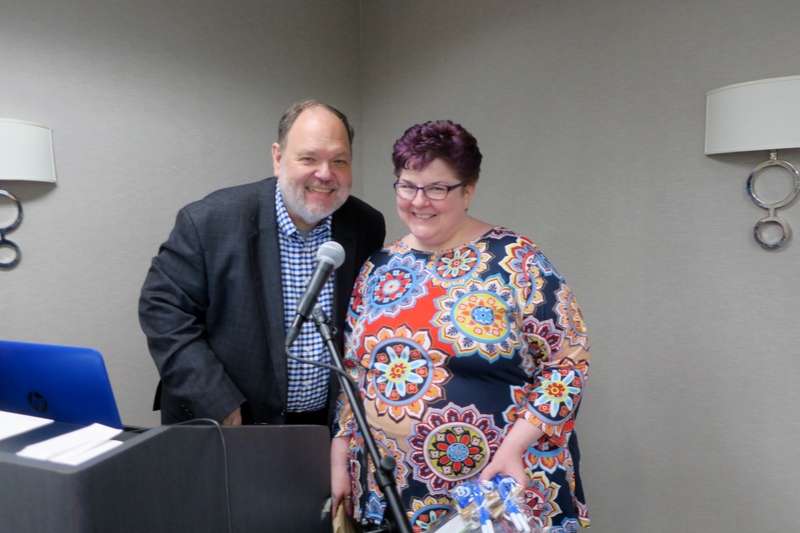 From January 2017 through June 2018 she served as a patron helper in the International Zone of the Family History Library in Salt Lake City, Utah, specializing in German research. Reading old German documents, printed or handwritten, is her specialty. TPCGS monthly meetings are held September through June from 6 pm to 9 pm, usually at Bates Technical College, South Campus, Building E, 2201 South 78th St., Tacoma. Guests are always welcome, so bring a friend! For more information check our website at www.tpcgs.org. Please note that we hope to reschedule to cancelled Timelines presentation by Cyndi Ingle in the fall. TPCGS will hold our monthly meeting this Tuesday, June 12, at 6.30 pm, at Bates Community College. Our Speaker will be Midori Okazaki from the Washington State Archives. From 6:30 to 7:00 she will explain how to become a Scribe for the Washington State Archives. Then after a short business meeting, she will also cover the Preservation of physical records. TPCGS monthly meetings are held September through May from 6 pm to 9 pm, usually at Bates Technical College, South Campus, Building E, 2201 South 78th St., Tacoma. Guests are always welcome, so bring a friend! For more information check our website at www.tpcgs.org. Additional tables had to be brought in to accommodate the crowd. “Slow down. Mull and ponder.” That was a frequent reminder from J. 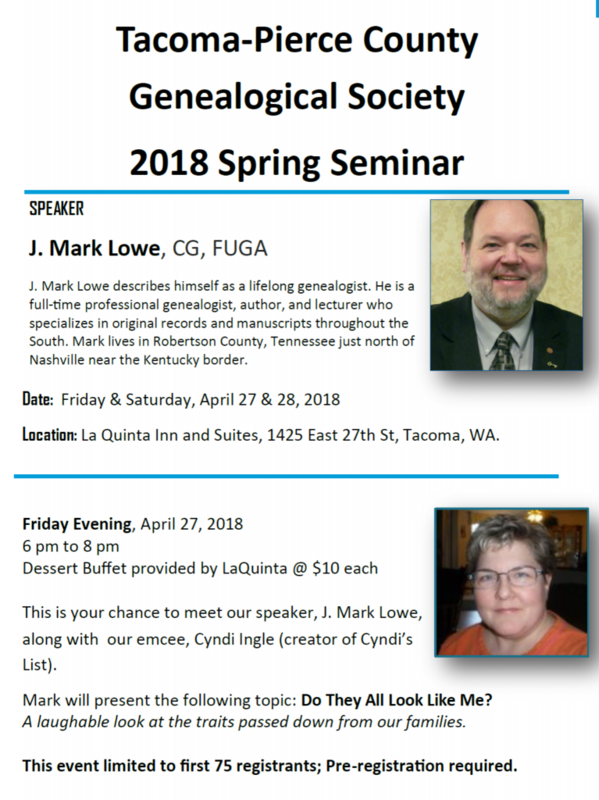 Mark Lowe, the featured speaker at Tacoma-Pierce County Genealogical Society‘s Spring Seminar on April 27 and 28, 2018. Good advice to someone (like me!) who often jumps from rabbit hole to rabbit hole while researching my family history — and other activities. Quite the storyteller, Mark captured and held the attention of a roomful of enthusiasts with tales of his Southern family. His presentations included using online newspapers; finding and using sources at home or your library; migration through Virginia, the Carolinas, Kentucky and Tennessee; and a using a brick wall as a foundation for your research. Mark Lowe and Mistress of Ceremonies Cyndi Ingle. What great chemistry between those two! We learned to consider that brick walls were of our own making and could be used as a stepping stone to further research. He encouraged us to start with a research plan and complete that question. Even if we didn’t get an answer to the research question, we should document that, then move on to a new question. He also encouraged us to think about the big picture, open our minds to every possibility and not get too myopic — remember that research plan — and mull and ponder the possibilities! Tacoma-Pierce County Genealogical Society always hosts a first-rate seminar. Good location, good organization, very welcoming. They are so well-organized, they’ve already lined up their speaker for 2019: Michael Lacopo, DVM. Dr. Lacopo has a varied and interesting ancestry and is a self-described “all-American mutt.” Mark your calendar for April 26 – 27, 2019. Roxanne Lowe and Mark Lowe are still looking for their family confluence — somewhere in the hills of North Carolina. 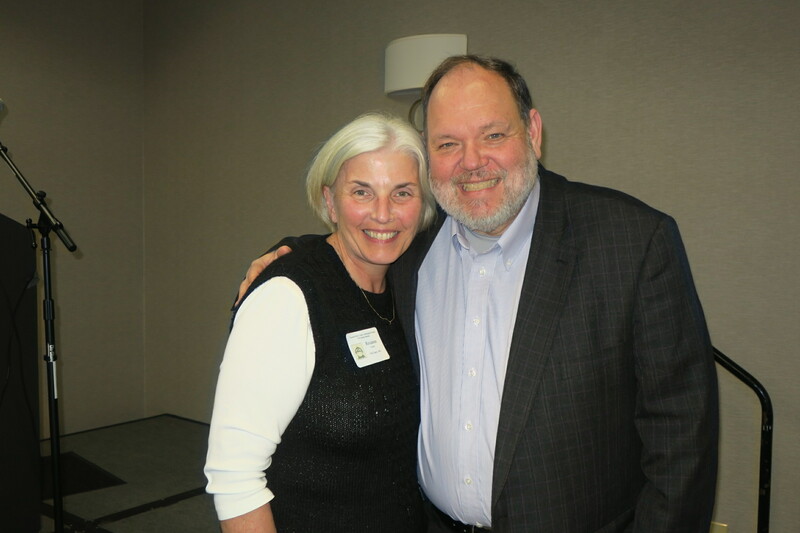 If Tacoma-Pierce County Genealogical Society‘s kick-off Meet & Greet with J. Mark Lowe is any indication, the main event on Saturday, April 28, 2018 is going to be a fun ride! At the Friday night event, Mark entertained the attendees while they dined on a scrumptious dessert buffet. What could be better than laughter and chocolate! 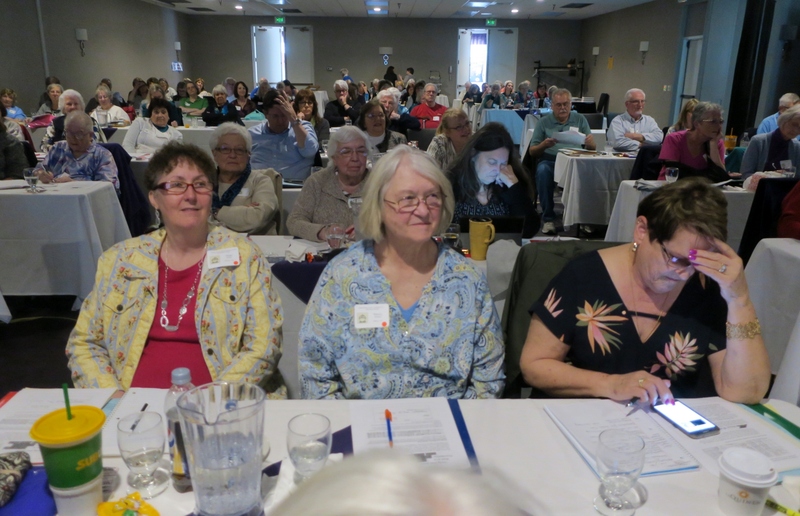 You can register on-site for the Tacoma-Pierce County Genealogical Society’s Spring Seminar at the LaQuinta Inn, 1425 East 27th Street in Tacoma. Registration opens at 8:00 a.m. with opening remarks by Cyndi Ingle at 9:00. Registration is open for the Tacoma-Pierce County Genealogical Society‘s Spring Seminar, featuring J. Mark Lowe, CG, FUGA. The seminar is Saturday, April 28, 2018 at the La Quinta Inn and Suites, 1425 East 27th Street, Tacoma, WA. On Friday evening, there will be a “Meet Mark & Cyndi” dessert buffet event, limited to the first 75 registrants. Attendees will get a change to meet Mark and Cyndi Ingle (yes, Cyndi of Cyndi’s List). Mark will present “Do They All Look Like Me?,” a laughable look at the traits passed down from our families. Remember, space for this event is limited to the first 75 registrants. For more information or registration, visit the TPCGS website. Sign up today! 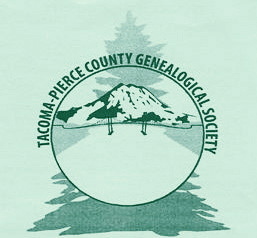 Summer break is over and it’s time for the monthly meetings of the Tacoma-Pierce County Genealogical society to start again. Hopefully this summer has allowed you to break down some of the brick walls, and discover new ancestors that you didn’t know about last spring. Our September meeting will be an informal question, answers and stories at the LDS Family History Center located on 12th and Pearl in Tacoma. Claudia Breland will be joining us to answer questions we may have about a research problem, and we will also be doing our annual show and tell. So bring your stories and your questions or just come and listen to other members talk about what they have found recently. Who know, maybe someone’s story will help you with your research. 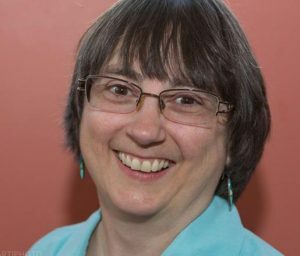 Elissa Scalise Powell, CG, CGL, is a Pennsylvania researcher and co-director of the Genealogical Research Institute of Pittsburgh (GRIP). She is a past-president of the Board for Certification of Genealogists and coordinator of the IGHR “Professional Genealogy” course since 2007 She was an instructor for Boston University’s Genealogical Research Certificate course (2008-2016) and co-coordinator of SLIG’s 2013 “Credentialing: AG, CG, or Both?” course. She has also served as president of two local societies and has volunteered on society boards for over 25 years. Fresh from the Southern California Genealogical Jamboree, Elissa will present an interesting program entitled Patriot or Not? – Using the GPS on a Closed DAR Line. 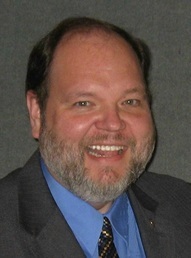 This case study, concerning a man who is currently a patriot on a closed DAR line, goes through four questions in which the audience determines if the conclusions follow the Genealogical Proof Standard (GPS). The Colglazier family was said to be of Pennsylvania, but were they? Following each step of the migration backward from where they settled in Indiana to Ohio to their origins through land, probate, military, census, and tax lists, each question is laid out and analyzed through several analysis techniques. There will not be an early session, so this meeting will begin a 7 pm. However, you are welcome to come earlier and visit. These meetings will be held in our usual location at Bates Technical College, South Campus, 2201 South 78th St, Tacoma, Building E.
Ignore today’s sunshine! I know that’s hard to do, considering the long winter we’ve had, but you won’t be sorry if you get yourself to Tacoma’s LaQuinta Inn & Suites to hear Judy Russell, the Legal Genealogist. The Tacoma-Pierce County Genealogical Society is hosting this nationally acclaimed lawyer/genealogist. Wickedly funny, sharp as a tack — not to be missed. Walk-in registration starts at 8:00 a.m. ($45, cash or check only). Cindy Ingle kicks off the day at 9:00, then Judy will educate and entertain you for the rest of the day. If you need more convincing, check out the flyer.